If you read the headlines, you can quickly get depressed. Natural disasters are destroying property and leaving people homeless. People are rioting or doing even worse to their neighbors. Or, on your social media channels, you may be bombarded with notices of friends’ struggles. Every day, you shape the world around you. You make seemingly small choices that can impact another life for years to come. Maybe it was your decision to stop and offer assistance to the elderly woman shopping alone or your kindness to the cashier on your way out of the store. You may never know of the effect of these small kindnesses but make no mistake, you are influencing other people. But that kindness doesn’t just affect them – it affects you, too. Giving to someone in need can make you pause and focus on what you have. It causes you to count your blessings. You look at how much you have and not what you don’t have. I still remember taking my older boys to help at Thanksgiving Blessing in our community. They did it for the community service hours (towards a Boy Scout merit badge), but left with more. The boys were surprised at how grateful the recipients were. But, what really struck them is that a family spent 2 hours volunteering before claiming a place in line to receive their own Thanksgiving dinner. Paying for the coffee of the customer behind you may not seem like a big deal. But as you do it, think about the time you were in college. You couldn’t afford a meal and someone else provided for you. With that memory, stop to consider all of the ways your life is better now. This type of reflection can lead to feelings of contentment and help you put little annoyances in perspective. Have you ever met someone that could only talk about herself? She couldn’t stand it if a conversation wasn’t about her and her latest victories or her awful problems. Being kind helps you to step outside yourself. Instead of looking at yourself and thinking of the ways your day could be going better, you focus on someone else. Maybe you know a single mom down the street that could use a ride to work. Or you know a couple whose youngest child is chronically ill and could use the night off. When you practice kindness, your life becomes less about you and more about others. As you become others centered, you’ll notice you don’t need as much attention or praise. Instead, you’ll be able to enjoy life more. Besides increasing your contentment and making your life about others, kindness improves your attitude. It’s hard to be negative if you’re always looking for a way to bless and serve others. This doesn’t mean that you won’t have hard days or that you have to smile your way through everything. But choosing kindness does give you a positive outlook and makes it easier for you to recover from failure and loss. 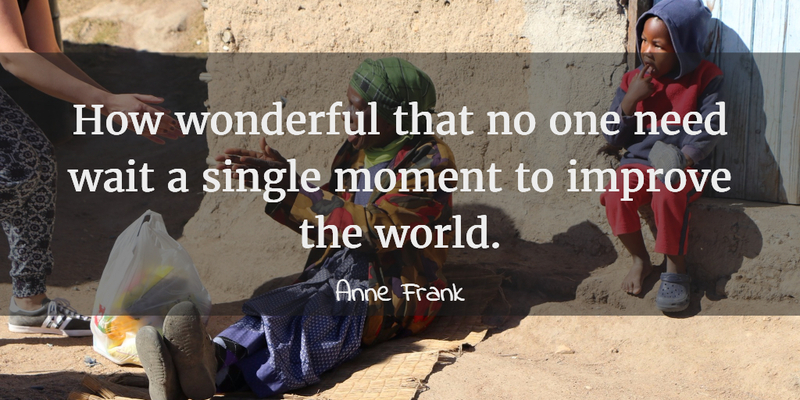 Being kind and paying it forward only takes a few minutes from your day. But it leaves a lasting impact on both you and those around you. 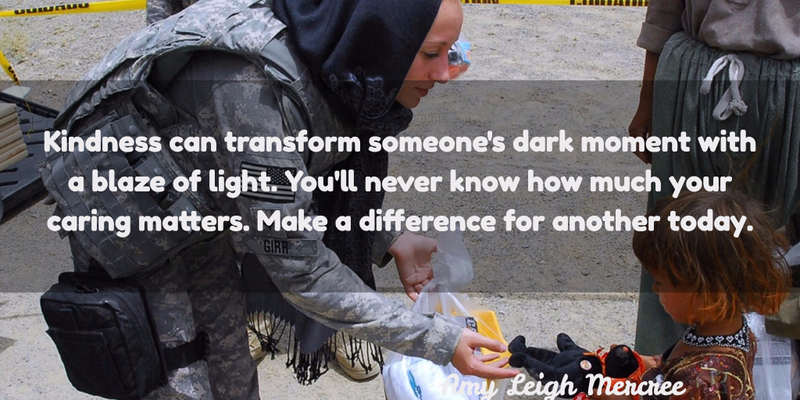 How do you use small acts of kindness to pay it forward? 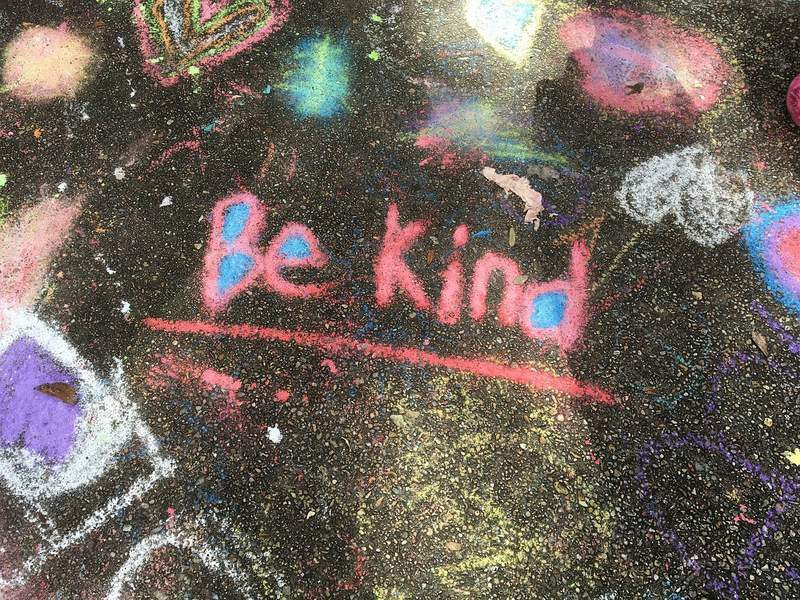 Has another person’s act of kindness made an impact on your life? Want ideas on how to pay it forward? Subscribe to this site to receive a free workbook!